Trying to solve the problems of crime and drugs. Trying to find cures for serious diseases. Taking steps to contain the cost of health care. Trying to ensure people have jobs and decent wages. Trying to improve the quality of public school problems. Taking steps to ensure better leaders in elected positions. Taking steps to reduce the budget deficit. Taking steps to reduce Global Warming. Trying to improve the quality of our environment. Trying to solve the world’s racial problems. The top 10 problems to be faced in the next 25 to 50 years. Spread of crime and violence in all places. Starvation in many parts of the world. Congestion of cities and highways. Divisions between rich and poor in this country. Lack of jobs that pay decent wages. Health problems caused by man-made chemicals. 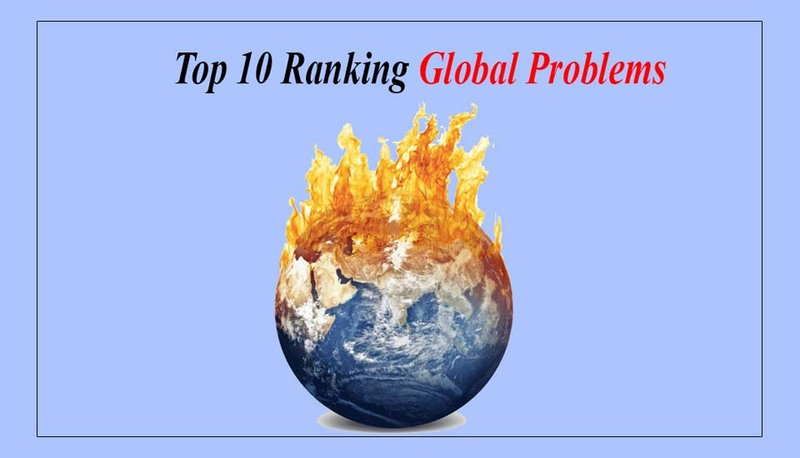 In this article we pointed out the top 10 global problems. According to you what can be the prominent issue our world is facing today? Feel free to write your own feedback in the comment box below.